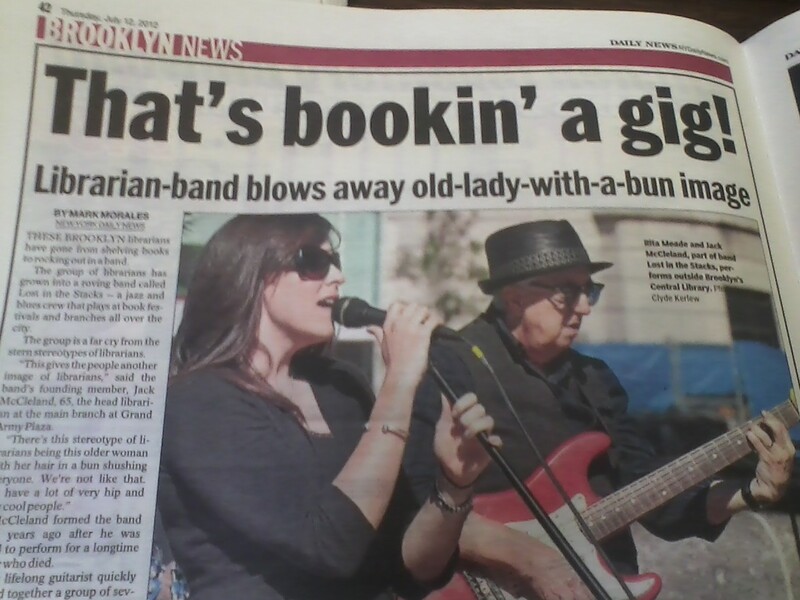 FYI: my librarian band is featured on page 42 of today's NY Daily News (Brooklyn section)! Woo hoo! "Return My Heart or Pay The Fine"
"Don't Keep Me On The Shelf"
I'm Yours, But Only Temporarily"
"I'd Like To Check You Out"